(02/10/2019) Should Medicine Endorse Healing? Why would a Christian go to a doctor when there is a problem in his flesh that requires healing? The Bible plainly states that the confidence, security, and well-being of a believer comes by the workings of spiritual process, and the use of spirit instruments and tools that include confession, fasting, forgiveness, importuning, praise, and prayer. Healing is a restoration of full functioning and the operating of the flesh in accordance with mechanical, natural and spiritual law that occurs through interactions of faith and the many other inseparable aspects of spirit substance imparted to mankind that reside within the makeup of divinity (e.g., forgiveness, holiness, longsuffering, lovingkindness, oneness without sameness, personhood, wisdom, wrath against sin). There must be acceptance and acknowledgment of healing by medical science with its practices and strategies that address health care and well-being, for the medical practitioner will be held accountable by GOD for their correct application and use of sacred knowledge, and what they account as their own legitimate authority. Because suffering that appears through carnal, material, and social events also is a divine tool to authenticate, challenge, exercise, and strengthen ones endowment of faith and the uninterrupted expression of hope, many medical practitioners argue that: (1) Spiritual things are self-contradictory; (2) have value only as expressions of emotion, psychological phenomena, and superstition; (3) should be restricted to spiritual rather than physical things (e.g., broken-hearts; ones own past; family and marital relationships; world peace); are neither scientifically reliable nor valid; and should be avoided. The clarity, precision, and simplicity of academic and secular knowledge, science, and technology should be preferred. Just as doctors and surgeons can not foretell future events, nor consistently mandate the outcomes of their own actions, Christian ministers and their followers can not predict the future, nor command that the outcome of events be the expression of their own desire and self-will. At best, there can be the recognition and application of tried and tested patterns that become familiar through experience, practice, and study. Thus, knowing ABC is followed by EFG, one may correctly state, XYZ is coming. For developing Christians, the cause and origin for various actions and events within their life are to be discerned and acknowledged on the basis of their agreement with what has been recorded as divine prerogative, grace, eternal purpose, and the sovereign will of GOD. The workings of devils (we say, deception, lies, slander) will repeatedly negate and oppose the pronouncements from God, in effect, declaring once more, thou shalt not surely die for sin and transgression of the expressed will of GOD that is sacred law). The testimony and witness from those who have experienced healing is not be dismissed as chance, coincidence, foolishness, and hypocrisy. Thus, I bear a cicatrix on my right arm over the blood vessel that did not gush forth when I was slashed to the bone by someone using a straight-razor. It also is the truth when I speak of being diagnosed decades ago by different doctors who agreed that I had migratory arthritis, that it could not be cured, and that it would randomly and suddenly change the location of severe pain throughout my entire body. A new drug, (Motrin) was prescribed, and I was told, I would have to rely on the drug for the rest of my life. Rather than yield, I continued insisting on the things of my belief as a Christian. There is far more that should be said, correctly examined, and spiritually apprehended. (For example, it is plain sense that doctors and all the others in the practice of medicine are not to be ignorant regarding healing and its place in the life of those they offer to serve. Before wasting the time of those seeking health solutions, or offering a false hope, those in the medical profession—wh0 are part of the man-made system for survival and understanding that is called the World—are to acknowledge the limitations of their professions, and are to avoid complaining against, condemning, and opposing divinity. The effectiveness and value of professional health care also rests on a platform of mutual respect and other intangibles. There must be a profound level of sound judgment on the part of every healthcare professional (e.g., hospital administrators; custodians; orderlies; nurses; doctors; surgeons). There must be communication, exchange, and sharing of insights and information among medical workers and with the intended beneficiaries (e.g., clients, families, patients, the general public) of the healthcare system. Most importantly, there must be multiple relationships marked by the approval, endorsement and validation of others as well as the extension of trust to things assumed, elements from other belief systems that impact the practice of medicine along with things otherwise unknown and unseen that may require recognition and creative responses.) Even so, I trust this fragment will be useful. Be it unto you according to your faith. Is there a physical description of Jesus in the bible? 1. John 14: 5-10, King James Version (KJV): 5 Thomas saith unto him, Lord, we know not whither thou goest; and how can we know the way? 6 Jesus saith unto him, I am the way, the truth, and the life: no man cometh unto the Father, but by me. 7 If ye had known me, ye should have known my Father also: and from henceforth ye know him, and have seen him. 8 Philip saith unto him, Lord, show us the Father, and it sufficeth us. 9 Jesus saith unto him, Have I been so long time with you, and yet hast thou not known me, Philip? he that hath seen me hath seen the Father; and how sayest thou then, Show us the Father? 10 Believest thou not that I am in the Father, and the Father in me? the words that I speak unto you I speak not of myself: but the Father that dwelleth in me, he doeth the works. 2. Luke 7: 19-23, KJV: 19 And John calling unto him two of his disciples sent them to Jesus, saying, Art thou he that should come? or look we for another? 20 When the men were come unto him, they said, John Baptist hath sent us unto thee, saying, Art thou he that should come? or look we for another? 21 And in that same hour he cured many of their infirmities and plagues, and of evil spirits; and unto many that were blind he gave sight. 22 Then Jesus answering said unto them, Go your way, and tell John what things ye have seen and heard; how that the blind see, the lame walk, the lepers are cleansed, the deaf hear, the dead are raised, to the poor the gospel is preached. 23 And blessed is he, whosoever shall not be offended in me. There is far more that should be said, correctly examined, and spiritually apprehended. (For example, 3. John 20: 24-29, KJV: 24 But Thomas, one of the twelve, called Didymus, was not with them when Jesus came. 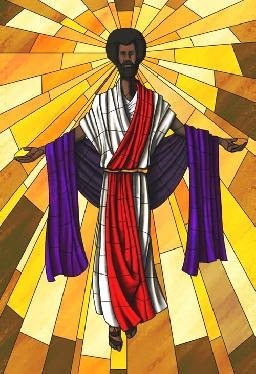 25 The other disciples therefore said unto him, We have seen the Lord. But he said unto them, Except I shall see in his hands the print of the nails, and put my finger into the print of the nails, and thrust my hand into his side, I will not believe. 26 And after eight days again his disciples were within, and Thomas with them: then came Jesus, the doors being shut, and stood in the midst, and said, Peace be unto you. 27 Then saith he to Thomas, Reach hither thy finger, and behold my hands; and reach hither thy hand, and thrust it into my side: and be not faithless, but believing. 28 And Thomas answered and said unto him, My Lord and my God. 29 Jesus saith unto him, Thomas, because thou hast seen me, thou hast believed: blessed are they that have not seen, and yet have believed.) Even so, I trust this fragment will be useful. Be it unto you according to your faith. My pastor said “Everyone has fallen short of the Hand of God. Even I have sinned, *I’ve broken all 10 Commandments.” Should I be concerned? I believe it was a mistake on his part, but this man said he’s broken every commandment. Should I be concerned with him as a pastor regardless? (1.) Psalms 14: 2-3, King James Version (KJV): 2 The LORD looked down from heaven upon the children of men, to see if there were any that did understand, and seek God. 3 They are all gone aside, they are all together become filthy: there is none that doeth good, no, not one. (2.) Isaiah 53: 6, KJV: 6 All we like sheep have gone astray; we have turned every one to his own way; and the LORD hath laid on him the iniquity of us all. (3.) 1st John 2: 1-3, KJV: 1 My little children, these things write I unto you, that ye sin not. And if any man sin, we have an advocate with the Father, Jesus Christ the righteous: 2 And he is the propitiation for our sins: and not for ours only, but also for the sins of the whole world. 3 And hereby we do know that we know him, if we keep his commandments. There is far more to be said, correctly examined, and spiritually apprehended. (For example, (4.) 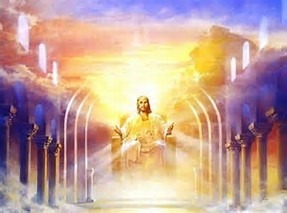 1st Peter 1: 3-9, KJV: 3 Blessed be the God and Father of our Lord Jesus Christ, which according to his abundant mercy hath begotten us again unto a lively hope by the resurrection of Jesus Christ from the dead, 4 To an inheritance incorruptible, and undefiled, and that fadeth not away, reserved in heaven for you, 5 Who are kept by the power of God through faith unto salvation ready to be revealed in the last time. 6 Wherein ye greatly rejoice, though now for a season, if need be, ye are in heaviness through manifold temptations: 7 That the trial of your faith, being much more precious than of gold that perisheth, though it be tried with fire, might be found unto praise and honour and glory at the appearing of Jesus Christ: 8 Whom having not seen, ye love; in whom, though now ye see him not, yet believing, ye rejoice with joy unspeakable and full of glory: 9 Receiving the end of your faith, even the salvation of your souls.) Even so, I trust this fragment will be useful. Be it unto you according to your faith. Today, points are shared to clarify differences among public confession, personal testimony, and proper devotion to GOD. In the same way confession to GOD during prayer that should be private and personal does not replace repentance, public confession of wrongdoing does not supply the same benefit as testimony to reveal the work of Christ in ones life. Reverend William Aitcheson, a Catholic priest in nearby Arlington, Virginia, who has been serving in the church for many decades, published an article in one of the diocese newspapers apologizing that he once was a leader within the Ku Klux Klan (KKK). Many all across America have been enraged and incensed by recent events that have called forth expressions of bigotry, hate, prejudice, racism, and violence, and that resulted in a young woman’s death (Heather Heyer, Charlottesville, VA). Others have been cast down, made to feel shame, and are suffering great humiliation. Prominent among the institutions and organizations involved have been the KKK, Neo-Nazis, and White Supremacist groups that exist in the United States under lawful provisions for “free speech.” Those who repent, and turn to Christ to become his new creation may only demand and expect to see change in their own lives, and that mostly within their own conduct, commitment, consciousness, and sense of purpose. Many others involved will not have developed and grown as much. Thus, making public proclamation of sins from the past is not of itself a genuine act of repentance; and in the case of the priest, his confession has called forth accusations, placing blame, condemnation, and demands for payment, rather than the manifestation of the Holy Spirit within the church, and the heartfelt displays of humility, mature understanding, and godly love he hoped would appear his fellow believers. (1.) Confession as a sacred practice and in the course of formal ministry is not on the same level as gossip. This is specially so during practices and sacraments focused on healing as in James 5: 13-16, King James Version (KJV): 13 Is any among you afflicted? let him pray. Is any merry? let him sing psalms. 14 Is any sick among you? let him call for the elders of the church; and let them pray over him, anointing him with oil in the name of the Lord: 15 And the prayer of faith shall save the sick, and the Lord shall raise him up; and if he have committed sins, they shall be forgiven him. 16 Confess your faults one to another, and pray one for another, that ye may be healed. The effectual fervent prayer of a righteous man availeth much. (2.) Confession may be demanded within the law, yet, confession will not answer all the requirements and sanctions of the law that also address correction, full disclosure, financial liability, and punishment. Loss and damage from transgression becomes more completely crystallized in the light of confession. Thus, the enormity of the sin of Achan at Jericho in taking the “accursed thing” (a goodly Babylonish garment, and two hundred shekels of silver, and a wedge of gold of fifty shekels weight) is staggering, for it resulted in despair throughout the camp, Israel’s first defeat, and the death of 39 men at Ai (see Joshua 7, KJV). Judgment is not complete until the findings and sentence of the law have been carried out. (3.) The principles and rules of confidentiality that bind a confessor and prohibit his discussing and revealing what has been exchanged in ministry also binds the person who makes a confession. Disbelievers, ones parents, ones spouse, ones children have no authority to rank and rate the quality, sincerity, and value of your prayers, or whatever else may occur within other aspects of our own intimate relationship with GOD. (4.) Correctly understood, the admission of wrongdoing is also the admission of guilt, yet, is distinct from the acceptance and acknowledgment of accountability. Many are willing to admit wrongdoing and express sorrow for their errors, however, they also must be willing to accept accountability for “cleaning up the mess,” healing, making compensation, correction, and restitution. There is far more to be said, correctly examined, and spiritually apprehended. (For example, (5.) It is an error to think that public confession featuring the details of wrongdoing is of any benefit to the body. “All have sinned and come short” is sufficient to identify the need for grace without there being an exhaustive detailing of mistakes and transgressions. The duty for clergy is not to offer others or themselves upon an altar of condemnation, spiritual confusion, and personal sacrifice; rather, it is to offer Jesus Christ.) Even so, I trust this fragment will be useful. Be it unto you according to your faith. (07/10/2017) What Can Canvas Show? The photo by the way is the wrong depiction…he looks colored. 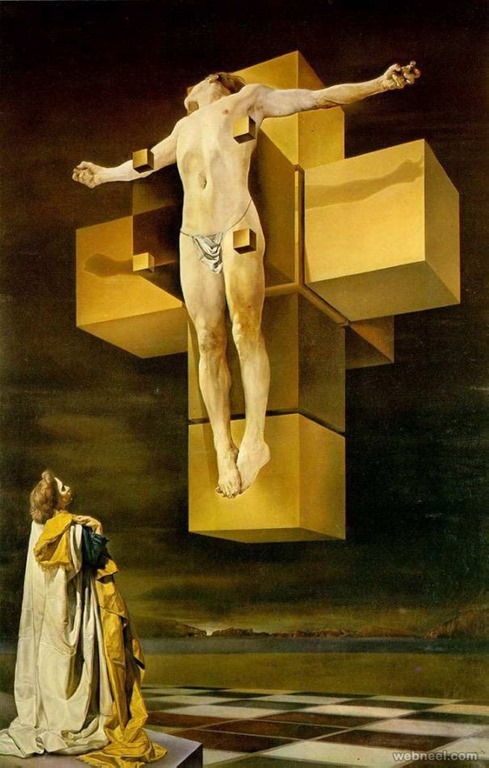 There are actual true depictions of Christ Jesus. Be encouraged! Many mature Christians believe as I do that no artistic rendering of Christ will be accurate and trustworthy as a tool for the church that is “realistic” and accurate in detail. 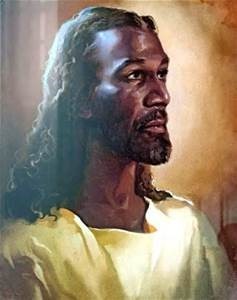 At best, they “suggest” to a mass audience what the Savior may have looked like; and so eye, hair and skin color do not really matter. In the experience (some would say, prophetic vision) granted me through the Spirit of GOD more than 40 years (a generation) ago, neither his nor my skin color was an issue between us. In my understanding, where we truly seek the Lord, our vision should be directed upward to recognize and respond to spirit content, rather than appearances, apparel, fantasies, and sentiments aroused (e.g., anxiety about judgment, bereavement, fear, friendliness, intimidation, sorrow). Images that convey inseparable aspects and qualities from the makeup of divinity should appear projecting such substance as balance, holiness, humility, longsuffering, lovingkindness, peace, person, presence, wisdom, and wrath against sin. At one time, I avoided using all religious illustrations and photographs, here, because I felt they often foster unwanted conflict, controversy, disagreements, and fleshly errors. Developing believers, who still lack the maturity provided by the Holy Spirit, tend to receive simple things (that in fact are profound) as final, “literal” and suitable for broader application and use than are fitting. They even may respond displaying patterns that are little different from idolatry and false worship. 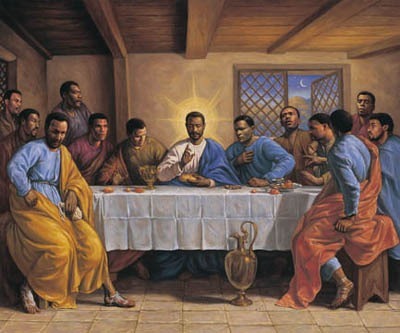 We find this is true whether the images presented are supposed to be of Jesus, his mother Mary, the apostles, or even “ordinary believers” within the church engaged in practicing such customary activity as praise, prayer, and the Lord’s Supper. Unlike Islamic believers, the followers of Jesus Christ need not hesitate to use drawings, images and photographs feeling that they blaspheme and offend divinity, or insult fellow believers. There is no exalting of carnal reason, deceit, guile, and senses of the flesh (e.g., hearing, seeing, tasting, touching) above receiving imparted spirit content from GOD; and there is no unhealthy dependence on products from finite human imagination. Sinners may approach the living GOD without fear of being rejected or denied on the basis of many features from the ministry of the Risen Lord that appear as his love for the Father, his reconciliation to sinners, his resurrection to serve as High Priest of the heavenly Temple and to preside as Judge over the Eternal Tribunals, his full embrace of the Holy Spirit, and his soon to be revealed ascendance to the Throne of Glory in addition to his rule from the Throne of Grace. Going further, Christian believers may approach the Most High on the basis of their own faith received from Christ, their own meekness (i.e., willingness to learn and accept correction) received from the Holy Spirit; their own awe, respect, and reverence; their own willingness to be joined to Christ; their own willingness to obey; and their own willingness to trust. The issues of eternal life and spiritual growth should be a Christian believer’s continual focus. We must choose what we say and see with a sense of its eternal meaning, quality, and value. Our goal should be to prophecy, that is, to comfort, edify, exhort and nourish. Thus, it is not a transgression of divine law, or a violation of genuine faith to carefully consider alternative ways of sharing the oneness without sameness that resides within us and around us as deposits of sacred truth. 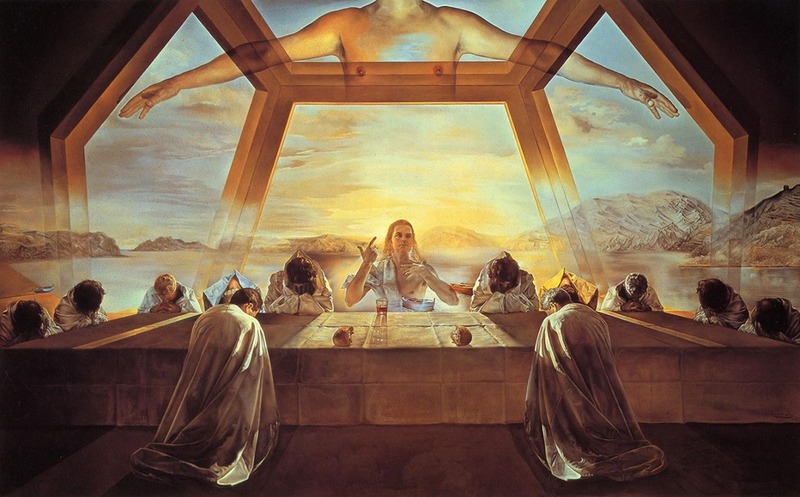 Because through Jesus Christ we are called to “see with new eyes”, we even may behold and consume with the artist Salvador Dali, The Sacrament of the Lord’s Supper as a spiritual act through visual behavior, not only as oral behavior, and a ceremony of eating and drinking. There is far more to be said, correctly applied, and spiritually apprehended. (For example, 2nd Corinthians 4: 17-18, King James Version (KJV): 17 For our light affliction, which is but for a moment, worketh for us a far more exceeding and eternal weight of glory; 18 While we look not at the things which are seen, but at the things which are not seen: for the things which are seen are temporal; but the things which are not seen are eternal.) Even so, I trust this fragment will be useful. Be it unto you according to your faith. (06/29/2017) Prophecy Over Personal Testimony? Why Mormon lesbian girl was interrupted in testimony in the Mormon church , why? If the “god” of the Mormon church has ever allowed this kind of situation common among Mormons (practice of homosexuality without being expelled from the organization), why are Mormon leaders ashamed of an authentic and true testimony of a Mormon girl practicing This now? …. what’s the problem? It is more proof of contradiction that lies in this organization! “Anonymous”, men, women, and children all wrestle with conflicting desires and emotions that, as believers, we must suppress to avoid their becoming a burden to others, and a source of others having error and misdirection. For those with mature understanding, a church is not an open or public forum provided to share secular instruction, or promote issues from popular culture, political trends, and social issues. In addition to declarations of conviction through sacred events such as gatherings conducted for Baptism and Confirmation of spiritual faith and growth, adult believers enroll as members through written legal agreements (some say, contracts, promissory notes) that may include “confessions” and other statements of belief. A member pledges to discharge specific duties that include regularly supplying financial resources. While sanctions against disobedience/for obedience may not appear as within statements of law, rules and standards for discipline and order are expressly provided, outlined as “principles”, and strongly suggested. (1.) 1st Corinthians 1: 9-10, King James Version (KJV): 9 God is faithful, by whom ye were called unto the fellowship of his Son Jesus Christ our Lord. 10 Now I beseech you, brethren, by the name of our Lord Jesus Christ, that ye all speak the same thing, and that there be no divisions among you; but that ye be perfectly joined together in the same mind and in the same judgment. (2.) 1st Corinthians 1: 18-21, KJV: 18 For the preaching of the cross is to them that perish foolishness; but unto us which are saved it is the power of God. 19 For it is written, I will destroy the wisdom of the wise, and will bring to nothing the understanding of the prudent. 20 Where is the wise? where is the scribe? where is the disputer of this world? hath not God made foolish the wisdom of this world? 21 For after that in the wisdom of God the world by wisdom knew not God, it pleased God by the foolishness of preaching to save them that believe. (3.) 1st Corinthians 14: 26-33, KJV: 26 How is it then, brethren? when ye come together, every one of you hath a psalm, hath a doctrine, hath a tongue, hath a revelation, hath an interpretation. Let all things be done unto edifying. 27 If any man speak in an unknown tongue, let it be by two, or at the most by three, and that by course; and let one interpret. 28 But if there be no interpreter, let him keep silence in the church; and let him speak to himself, and to God. 29 Let the prophets speak two or three, and let the other judge. 30 If any thing be revealed to another that sitteth by, let the first hold his peace. 31 For ye may all prophesy one by one, that all may learn, and all may be comforted. 32 And the spirits of the prophets are subject to the prophets. 33 For God is not the author of confusion, but of peace, as in all churches of the saints. (05/09/2017) Divinity Must Be Proclaimed? Can I tell that you have Christ in you by your actions and not by you bragging about it? “Anonymous”, GOD is a spirit who makes himself knowable, known, and “visible” to created beings and living creatures on the earth by using such tools as authority, awareness, person, and eternal purpose. In addition to sacred operations whereby divinity is perceived or realized in ones consciousness as an active presence (we say, revelation), there must be divine instruction and sacred proclamation that, so to speak, “explain” what it is the living are hearing and seeing. Through the announcement and declaration of the divine name, GOD himself introduces and supplies the necessary coherence, completeness, context, focus, fullness and readiness to receive sacred knowledge. Correctly recognizing and responding to divinity requires “discernment” (ability to use ones own spirit content as a standard to identify deposits of spirit substance from the makeup of divinity that reside within events, oneself, other persons, promises, prophecies, holy writings, etc.). Sinners become “born again” Christian believers through baptism by experiencing death, burial, and resurrection of their inborn spirit. Inseparable aspects of divinity are imparted to indwell the sinner and serve as divine DNA, so to speak. Included are faith, hope, joy, longsuffering, lovingkindness, meekness, wisdom, and wrath against sin. Thereby, the sinner becomes a new creation, a child or offspring of GOD, and a joint-heir of GOD with Jesus Christ. (1.) Exodus 33: 17-23, King James Version (KJV): 17 And the LORD said unto Moses, I will do this thing also that thou hast spoken: for thou hast found grace in my sight, and I know thee by name. 18 And he said, I beseech thee, shew me thy glory. 19 And he said, I will make all my goodness pass before thee, and I will proclaim the name of the LORD before thee; and will be gracious to whom I will be gracious, and will shew mercy on whom I will shew mercy. 20 And he said, Thou canst not see my face: for there shall no man see me, and live. 21 And the LORD said, Behold, there is a place by me, and thou shalt stand upon a rock: 22 And it shall come to pass, while my glory passeth by, that I will put thee in a clift of the rock, and will cover thee with my hand while I pass by: 23 And I will take away mine hand, and thou shalt see my back parts: but my face shall not be seen. (2.) 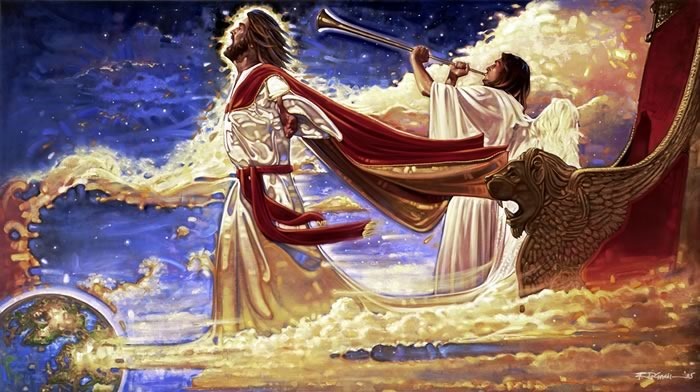 Exodus 34: 5-8, KJV: 5 And the LORD descended in the cloud, and stood with him there, and proclaimed the name of the LORD. 6 And the LORD passed by before him, and proclaimed, The LORD, The LORD God, merciful and gracious, longsuffering, and abundant in goodness and truth, 7 Keeping mercy for thousands, forgiving iniquity and transgression and sin, and that will by no means clear the guilty; visiting the iniquity of the fathers upon the children, and upon the children’s children, unto the third and to the fourth generation. 8 And Moses made haste, and bowed his head toward the earth, and worshipped. (3.) 2nd Corinthians 4: 1-7, KJV: 1 Therefore seeing we have this ministry, as we have received mercy, we faint not; 2 But have renounced the hidden things of dishonesty, not walking in craftiness, nor handling the word of God deceitfully; but by manifestation of the truth commending ourselves to every man’s conscience in the sight of God. 3 But if our gospel be hid, it is hid to them that are lost: 4 In whom the god of this world hath blinded the minds of them which believe not, lest the light of the glorious gospel of Christ, who is the image of God, should shine unto them. 5 For we preach not ourselves, but Christ Jesus the Lord; and ourselves your servants for Jesus’ sake. 6 For God, who commanded the light to shine out of darkness, hath shined in our hearts, to give the light of the knowledge of the glory of God in the face of Jesus Christ. 7 But we have this treasure in earthen vessels, that the excellency of the power may be of God, and not of us.